Interior Design is just a title but what it means to me is much deeper. It is Psychological and key in learning what captivates you and moves you to call the place you lay your head your home. I am happy to say I have been granted many years of designing a variety of styles! I believe a great designer taps into a client’s needs and helps to create the most important goal, comfort, love, and warmth. Hence the company name, Solace Design. My pursuit to happiness has taken me through an adventure of wearing a variety of hats. I worked by day as a design assistant and attended night school for three years full-time at Westwood College to obtain my Bachelor's Degree. Westwood was one of the few colleges I could attend night school and enhance my knowledge of design while obtaining a Bachelor's Degree in Interior Design and Associate Degree in Architectural Design. A year before I graduated I was promoted to Interior Designer and worked for the firm honing my skills. I took the challenging leap and decided to venture out and do what I do best. I look forward to helping future clients call the place they lay their head home. 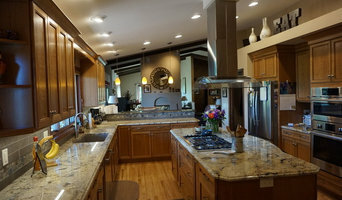 Full-service bath and kitchen design, remodeling company located in Colorado Springs, CO. DreamMaker is committed to delivering a high quality product through excellent customer service and professional craftsmanship. Each member of the DreamMaker Team is responsible for the company's success; every team member is committed to listening to and appreciating clients' needs in every situation. In a collaborative effort, DreamMaker works together to enhance your life and improve your home. Design 5 seventy-one’s main focus is residential design and décor. Shawna feels it is important to support individual style and desires by working harmoniously with clients and their environment; keeping functional style the primary goal Shawna Jaramillo, owner/designer of Design 5 seventy-one, is a professional designer who is NCIDQ certified* and has worked in the Interior Design field since 1994. 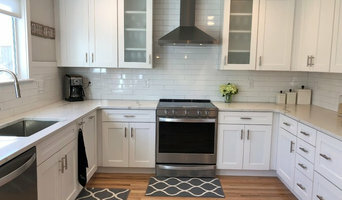 Prior to opening her own design firm Shawna spent 10 years with a nationally recognized, award winning design firm specializing in model home merchandizing. 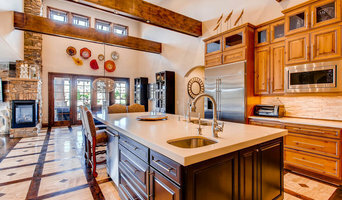 J.CO Interior Designs is a design build firm serving the front range. We offer a variety of solutions for your home including design, design build, paint consultation, selections and space planning. Our designer is committed to creating distinctive, unique and jaw dropping spaces for any area of your home. Specializing in eDesigns, home staging, residential interiors. 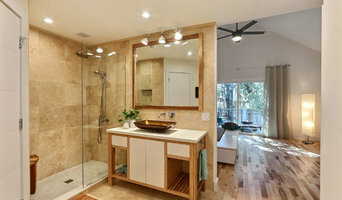 At Diamond Point Construction, we specialize in high end renovations and kitchen & bath remodels. We have a knack for working with our clients to bring together designs that not only look great, but also work well. Most great designs are a collaborative effort that identify potential problems and solve them, while also keeping a flare for the unique and beautiful. At Diamond Point Construction, we truly enjoy the process of working with our clients. We want to know who you are, what you like, and how your space can best work for you. This process involves listening carefully to identify the things that are really important to you. We work with you to hone in on the right solutions and style that custom-fits you. "A great design is one that looks fantastic and works well for many years." More than anything, we love the relationships that develop from collaborating with great people on unique projects, and we can’t wait to create your dream home!